The main focus of this release is a reworked signal tracing functionality, based on our users’ feedback. We stabilized and optimized the related functionalities as well as improved the robustness of the signal tracing solution. In a previous signal tracing version, users mainly had to interact with the context menu to start, continue or clear a signal trace. In feedback discussions, we came to the conclusion that these interaction patterns can even be simplified. For example, we decided to cleanup the context menu items regarding signal tracing so that just Trace signal and Clear trace remained in the new version. The context menu items to interactively extend the current trace have been removed. Now you can use a simple double-click interaction on any line that allows for trace continuation. Another thing we found out in feedback discussions was that it was hard to follow a highlighted signal, or a chain of signals, in the main view – especially if a signal trace spans many subsystems, goto and from blocks. So we came up with the idea to create a special view that shows all elements that are included in the current signal trace and across all hierarchy levels involved. 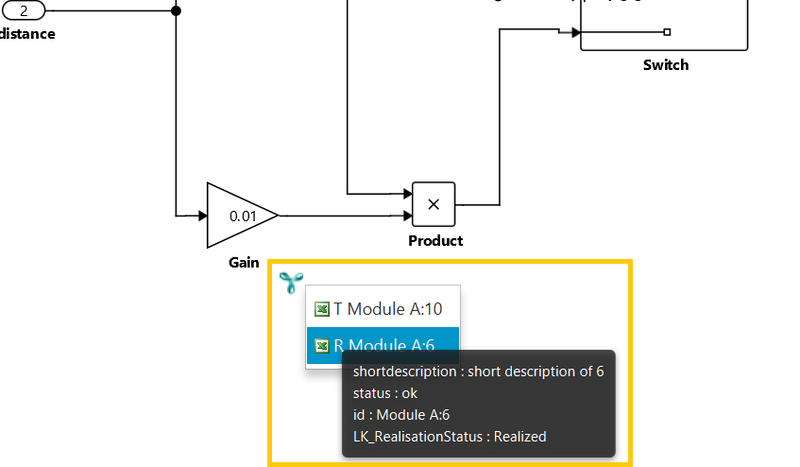 The new signal trace gives a clear overview of the complete signal trace at a single glance, including all hierarchies. Users can easily navigate to elements included in the signal trace by simply clicking on them. We will publish another blog post in the near future, detailing the signal tracing feature in greater depth. Besides signal tracing improvements, we are proud to provide another powerful YAKINDU Model Viewer extension. 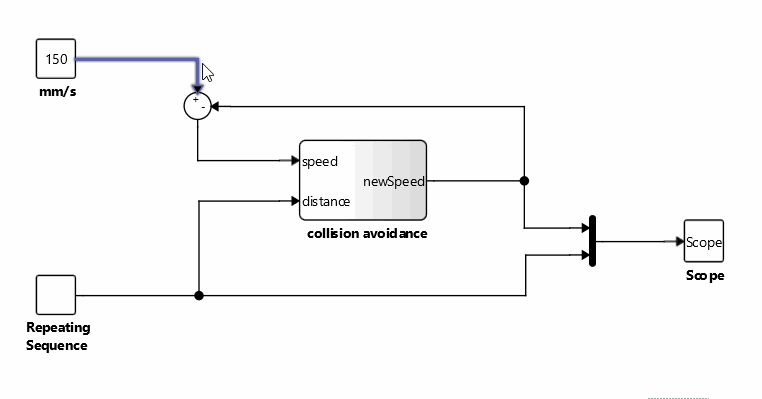 Often it is desirable to link elements of Simulink models to various other artifacts, like requirements, test specifications, source code, etc. Traceability data can be integrated into YAKINDU Model Viewer allowing users to easily inspect them and directly navigate to the linked artefact, e.g., a Microsoft Word file containing a test specification. This feature is currently not included in the standard download package, so please contact us if you are interested. In addition to the major improvements explained above, we also included the following features, bug fixes and usability improvements. The tree in the outline view now highlights systems that contain a traced signal. New signal trace view allows for a decent overview of the traced signal. Signals are correctly traced through cascades of bus creators and selectors. Fixed a bug which prohibited signal trace continuation in certain situations. Fixed a visualization problem in the signal trace view with broken library references involved. Back and forward buttons, as well as context menu entries, are now only enabled if these actions are possible. The YAKINDU Model Viewer is available from our download section and you can start using it with a 30 days trial license. We would be pleased for any kind of feedback and are looking forward to you comments!